On a long weekend stay at Daylesford, I went for an early morning walk around the lake. 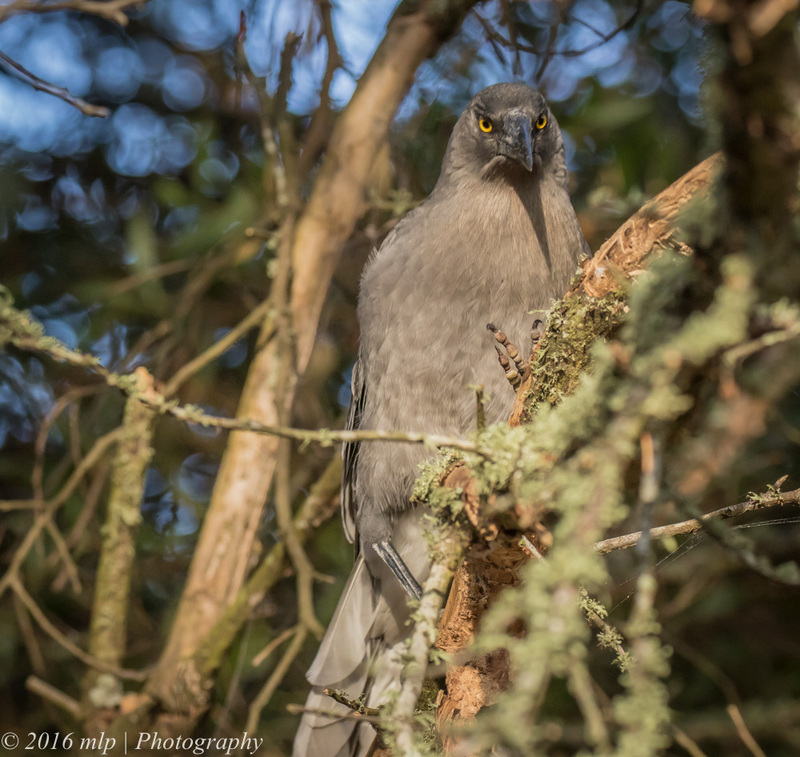 I had been getting up early to try and find a Nankeen Night Heron still hunting. I did find one and enjoyed excellent views but it was too dim to take any decent pics. 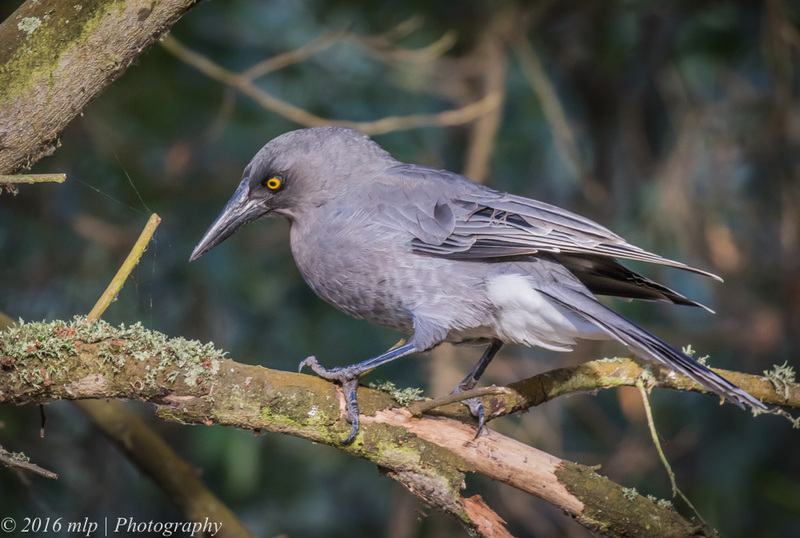 While walking back to the house I came across a Grey Currawong. I usually see Pied Currawongs around my own area but only see Greys when I go down the Mornington Peninsula or into Central Victoria. The Grey has a very distinctive call quite different to the Pied. 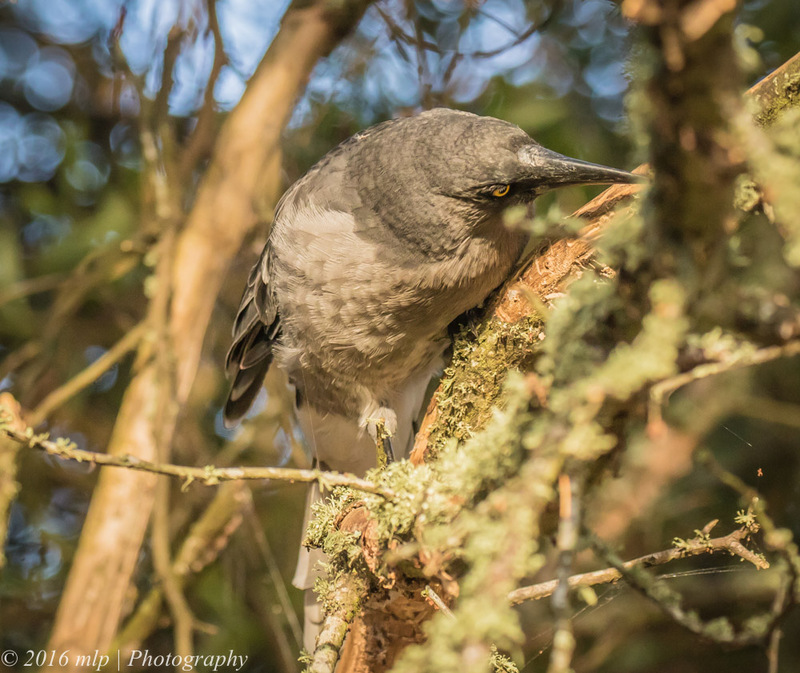 I watched this bird hunt for grubs under the bark of a dead tree. It was very determined and was quite happy to ignore me as I worked around the tree looking for better shots. 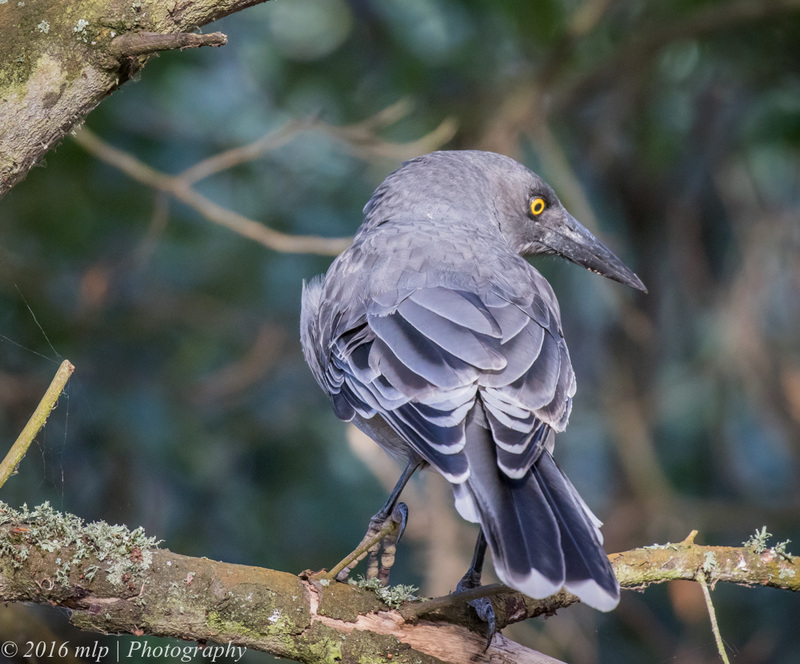 This entry was posted in Bird Behaviour, Birds, Victoria and tagged Australia, Australian Birds, Bird Photography, Daylesford, Daylesford Lake, Grey Currawong, Nature Photography, Victoria. Bookmark the permalink.